CAPE CANAVERAL, Fla. — In 2004, when then-President George W. Bush announced that NASA would end space exploration at the end of the decade, the region that for 50 years was a major hub for travel to outer space became anxious about its future. Florida’s Space Coast, as it has long been known, had already been battered by the longest recession in U.S. history. The decision to end government space travel meant 30,000 jobs were lost in Brevard County. The unemployment rate, which was about 3 percent in 2006, rose to 12 percent in 2010. But as the community prepared for the end of an era with Atlantis’ final launch on July 8, 2011, a plan was already in the works to boost the area’s economic future. The community began courting private companies to capitalize on the dilapidated facilities that had once been the launching pads for the Apollo missions. “When we knew that the shuttle was going to retire…we had a few years to go after and capture those new opportunities for us,” said Lynda Weatherman, president and CEO of the Space Coast Economic Development Commission. Space Florida, a state-funded agency, and its partners saw a unique opportunity to keep the space industry alive by securing funding and infrastructure upgrades to give commercial companies that wanted to get into human space flight a customer. NASA was faced with a harsh reality after the shuttle retired — if the U.S. wanted to send humans back into space, it would have to pay Russia over $75 million per seat on one of their spacecraft. To bypass this, the state recruited private companies for partnerships to ferry NASA’s astronauts to the International Space Station. In 2014, Tesla founder Elon Musk’s SpaceX and Boeing received government contracts for $2.6 billion and $4.2 billion, respectively, to develop so-called space taxis. Suffering major funding cuts, NASA repositioned itself from just a launch site to a place where spacecraft and satellites could be assembled and built, welcoming a whole supply chain of manufacturers to the region’s economy. As of 2018, 21 firms have signed deals to bring up to 3,000 high-paying jobs to the area, according to Space Florida. In exchange, the state has offered subsidies to build up infrastructure and make Florida the place for space. The space industry shifted as well. Space no longer revolves around government programs. It is now a commercial industry and new technology, like reusable rockets and small satellites, are driving a large part of that. “The space race that drove our earlier success is coming back, but in a different format,” said Ketchum. He calls the shift a “renaissance” driven by commercial enterprise, allowing for lower costs, resulting in more launches and jobs—a far more sustainable plan, he said. 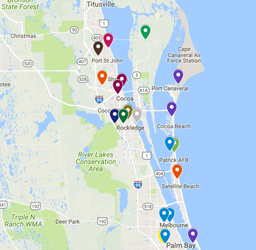 Today, deep-pocketed investors have built up dozens of private launch companies along Cape Canaveral, the area on Florida’s coastline east of Orlando that includes Kennedy Space Center and Cape Canaveral Air Force Station. Texas-based Firefly Aerospace was the latest company to announce a move, one of nine companies selected by NASA last year to vie for a chunk of $2.6 billion to develop lunar exploration robots with a $52 million development project that will include more than 200 jobs. Firefly joins a long list of high-profile neighbors such as SpaceX, Blue Origin, OneWeb, a communications company building a satellite manufacturing facility, United Launch Alliance and supplier RUAG Space USA, among others. Twenty launches took off from the area last year, and companies are aiming to launch more than two dozen more by 2020. In comparison, the shuttle program launched 135 missions in its 30-year history. “The industry as a whole is in a very exciting time. We’re seeing a much more expanded industrial base for lift and a greater commercialization of space,” said Tory Bruno, president and CEO of United Launch Alliance, a private company that builds and launches military, commercial and NASA payloads. Watt said there are many reasons companies are choosing Florida over other U.S. spaceports in California, Alaska and Virginia. “Florida is geographically blessed with its location and its coastline and that is a perfect trajectory to fly to space from,” he said. The Sunshine State is also the only state in the nation capable of human launch activity and Watt said its available workforce, preexisting infrastructure, facilities and a competitive financial package from the state made the choice a no-brainer. 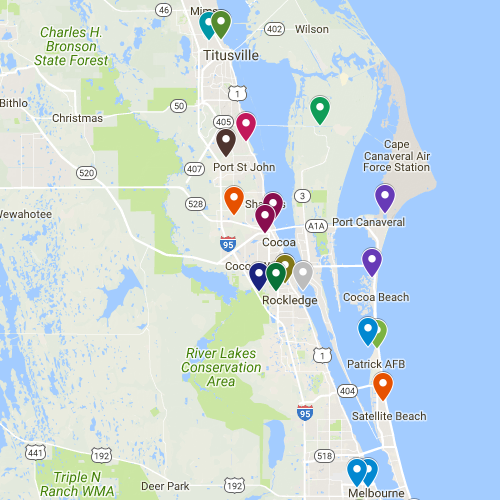 Central Florida’s colleges and universities also feed the Space Coast’s appetite for a specialized workforce. “The University of Central Florida provides more engineering students to the aerospace industry than any other university in the country,” said Ketchum. As the industry continues undergoing drastic changes, experts say Florida is in a better position now than ever to become a world leader in the space race. In 2018, President Trump proposed a Space Force to be the sixth branch of the military, which Florida’s Republican Gov. Ron DeSantis asked to headquarter in the Sunshine State. That could be another potential boost to the space industry. But it will be up to Congress to approve the initiative. NASA, along with their commercial partners, plans to launch the first American-made and manned spacecraft since 2011 within the next year. The launch is estimated to be around the time that the U.S. celebrates the 50th anniversary of the Apollo lunar landing.